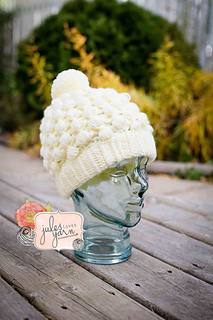 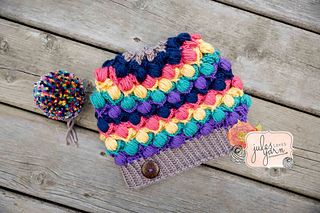 It can be made into a standard closed beanie OR a messy bun hat. 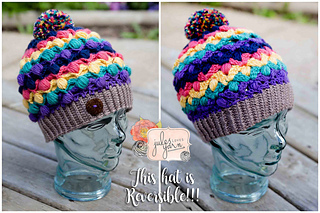 It is reversible!! 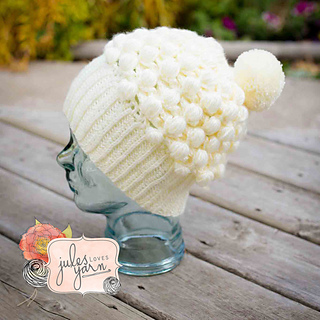 I was drawn to this stitch because it has such a beautiful texture on both the ‘right’ and ‘wrong’ side! 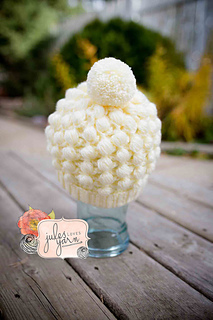 Using my directions for a removable pom-pom, you can reverse your hat as you please and still rock your pom-pom! 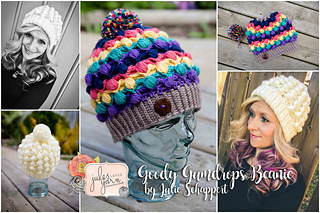 I have included 2 band options - a standard short band and a foldable (reversible) band. 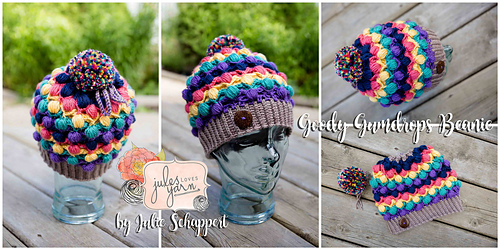 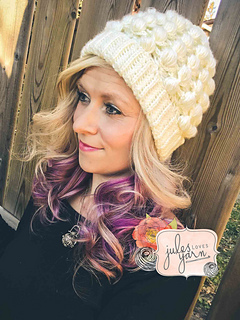 You can create your hat using multiple colors of your choosing, a solid color or a variegated yarn to save you from having to weave in all those ends! 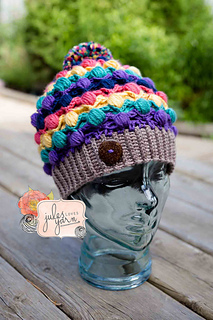 This pattern is written in adult sizing, with info on how to modify your size. 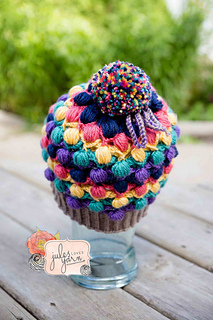 • Yarn: Approx. 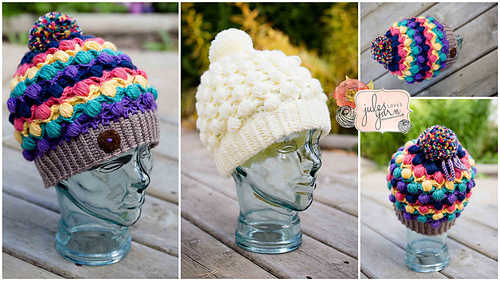 325 -375 yds of your yarn of choice. 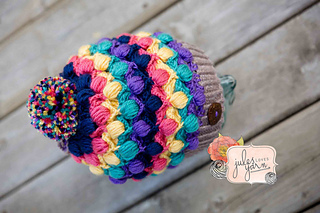 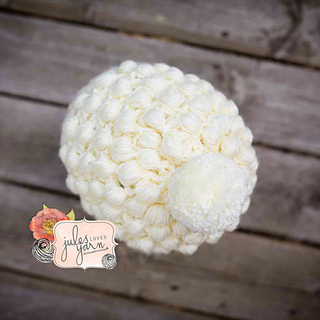 • Button(s) to add to the brim and a large, flat button (1-1/4”) if you’d like to make a removable pom-pom. 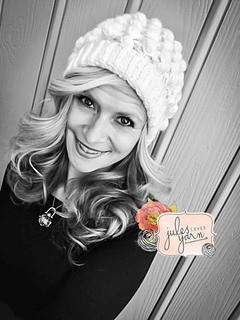 I am a tight crocheter, so I have included tips and instructions on how to modify your hat size, as well as a chart to guide you when it comes to average head sizes.